The Napa Valley Wine Train is a gourmet lunch excursion, taken through the heart of Napa Valley, California. Disclaimer: The Napa Valley Wine Train compensated me, with a complimentary Gourmet Express Luncheon for two, in exchange for a post and review. All opinions are my own. Do you have a Bucket List of travel adventures for 2015? Make sure to add the Napa Valley Wine Train to it, especially since Valentine’s Day is just a month away! 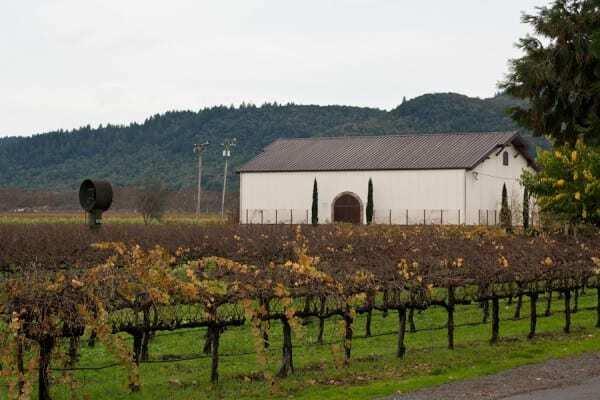 What about a romantic weekend in the beautiful Napa Valley? Nestled in between lush rolling hillsides, with some of the best vineyards and restaurants in California, sits the quaint town of Napa, home to the Napa Valley Wine Train. 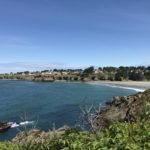 A scenic, one hour drive north of San Francisco, makes Napa an easy day trip from the city, or stay in any one of a number of luxury hotels or romantic inns. 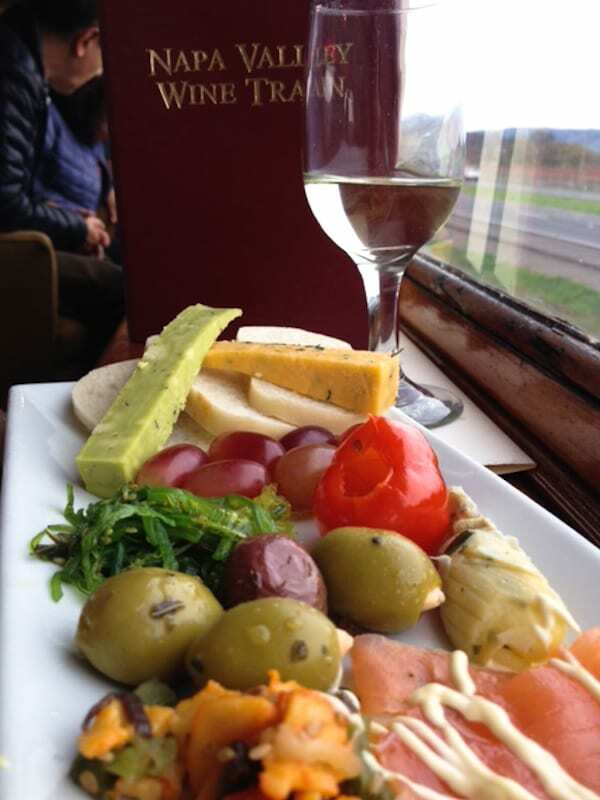 The Wine Train is the perfect way to spend part of a Valentine’s weekend. Don’t forget to bring a lock, for the “love lock bridge”! 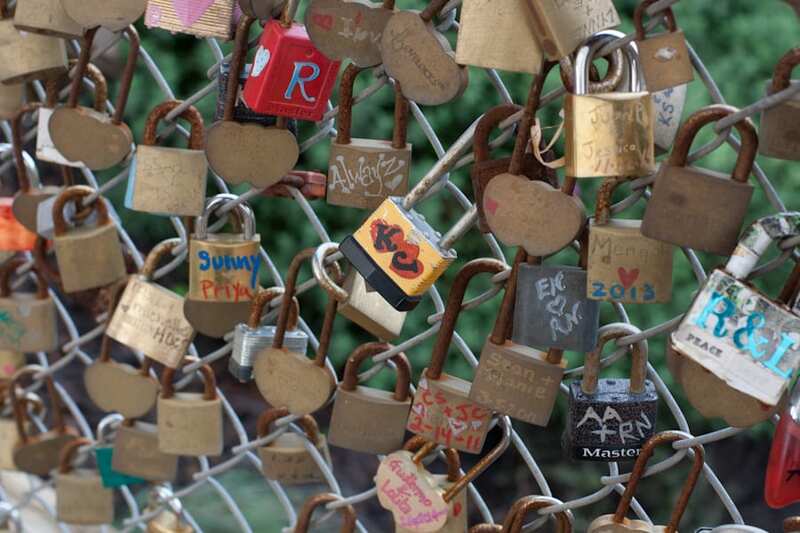 Bring a lock for the love lock bridge, and toss the key in the river. 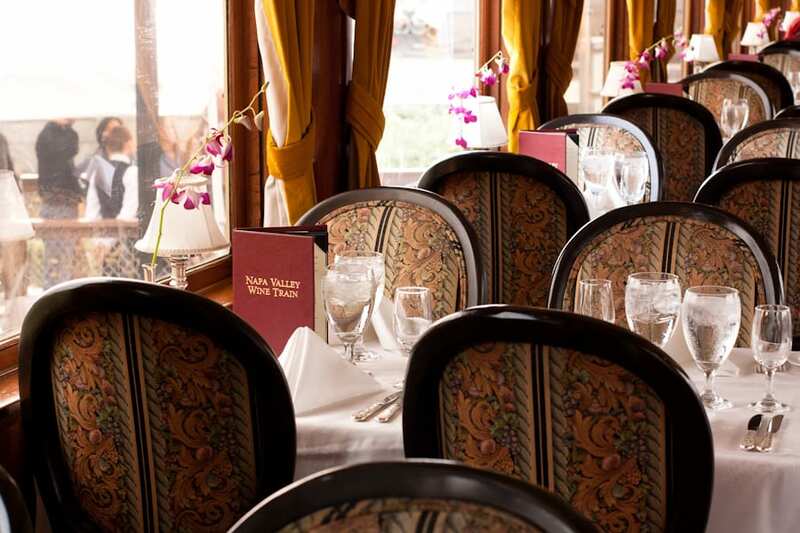 In addition to their regular schedule of Vintner’s Lunches, Winery Tours and Dining Journeys, the Napa Wine Train offers special events, including Valentine’s Day lunch and dinner. If you can’t make it up for Valentine’s Day, there are also Murder Mystery Dinner Theatre trips with the same multi-course gourmet dining experience and Celebrity Winemaker Dinner Series with wine pairings. My sister in law, Julie, (left) and me with our charming engineer. On a recent weekend in December, my sister-in-law Julie and I, were guests of the Napa Valley Wine Train and enjoyed the Gourmet Express Luncheon. Each meticulously restored pullman car, circa 1915-17, offers exquisite views of the valley on the 3 hour, 36 mile round trip.We chose the “late” seating for lunch, so we started the trip in one of the lounge cars, where we enjoyed a complimentary glass of wine and a plate of appetizers, which included a variety of cheeses, smoked salmon, calamari, and a delicious seaweed salad, as we journeyed up the valley. We started our trip in the lounge car. Each seat has a perfect view of the valley. In addition to the extensive wine list, there’s a wine tasting car, (naturally!) and full bar, as well as a variety of reasonably priced wine flights, allowing one to sample some of the best of the Valley’s vintages. 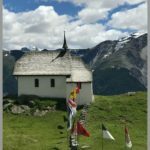 We enjoyed a glass of wine and a plate of cheese, fruit, olives, smoked salmon, calamari and seaweed salad on our trip up the valley. 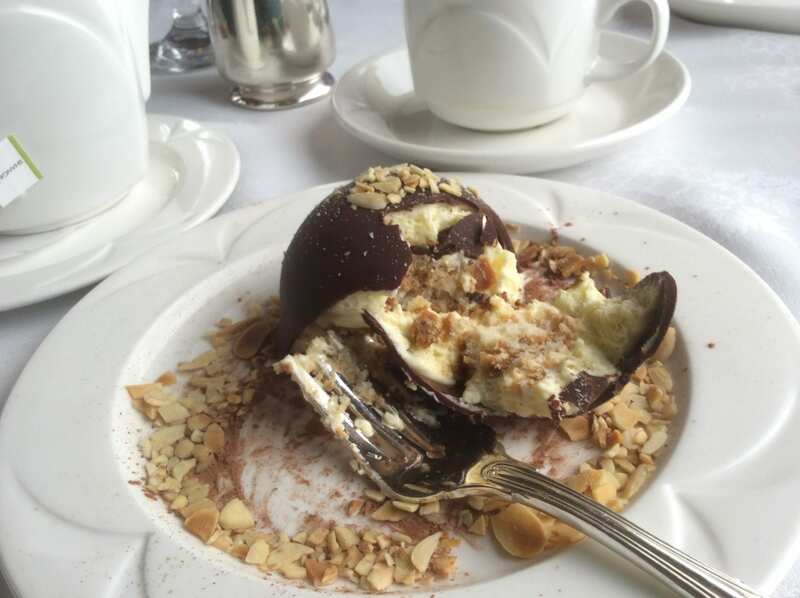 Half way through the trip, in St. Helena, we made a seamless transition from the lounge car to the dining car, for our salad, main course, dessert and coffee. 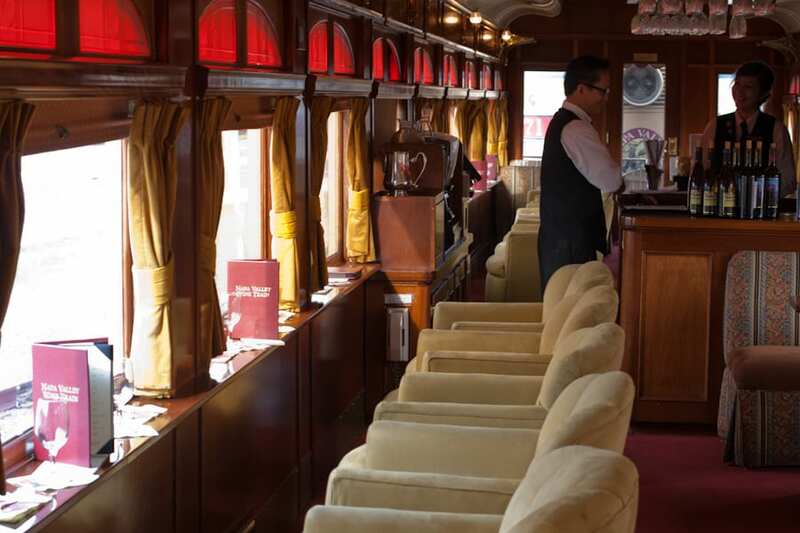 On the journey back, we switched from the lounge car to the pullman dining car, beautifully restored to reflect its original 1915 elegance. 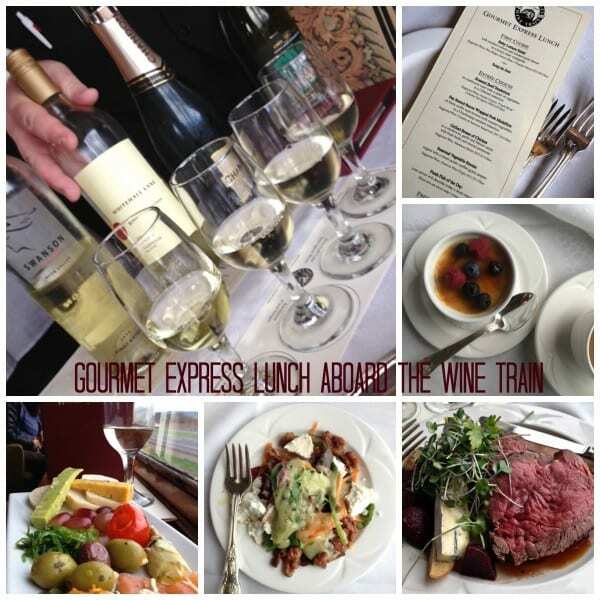 All the food on the Napa Valley Wine Train is freshly prepared in a specially fitted kitchen car. The kitchen is adjoining the dining cars, and all the ingredients are of the highest quality, humanely raised, hormone free meats and fresh, line-caught fish. The whole experience is reminiscent of a by-gone era of travel, with impeccably trained and attentive waitstaff and first class food. Julie and I decided we’d each order something different, so we could sample a bit of everything. We also shared the “Napa Valley” flight of wine which included a sauvignon blanc, chardonnay, pinot noir and a cabernet sauvignon, to go with our entrees. The first course, was a choice of the baby lettuce salad with candied walnuts, and smoked goat cheese or the soup du jour. 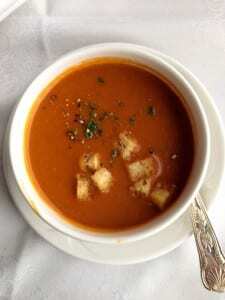 The soup that day was a delicious tomato bisque with house made croutons. Julie and I switched the soup and salad halfway, so we were each able to enjoy a bit of both. Cream of tomato soup with house made croutons. Entree choices include beef, pork, chicken, fish as well as a vegetarian dish. I chose the Roasted Beef Tenderloin on cambozola toast with sautéed vegetables, which was absolutely fantastic! Julie opted for the Pan Seared Bacon Wrapped Pork Medallion on black truffle hash browns with roasted vegetables in a chardonnay-mustard reduction. Each dish came out cooked exactly to our specifications and hot. 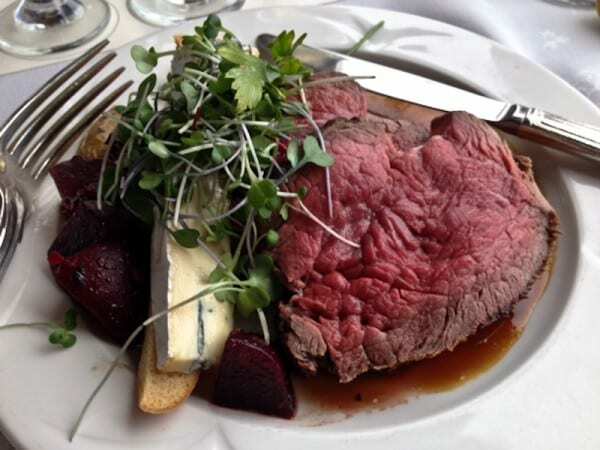 The beef was cooked to perfection, with a delicious cabernet reduction, and the cambozola toast was divine! Roasted beef tenderloin with a cabernet reduction and cambozola toast. The black truffle hash browns accompanying the pork medallion, could have been a meal on their own. Although we were completely full from our meal and wine flight, we saved room dessert. 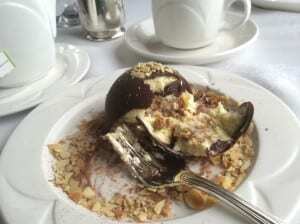 The Chocolate Tiramisu Truffle was a true chocolate lovers dessert, with a shell of chocolate filled with creamy custard and a layer of cake. 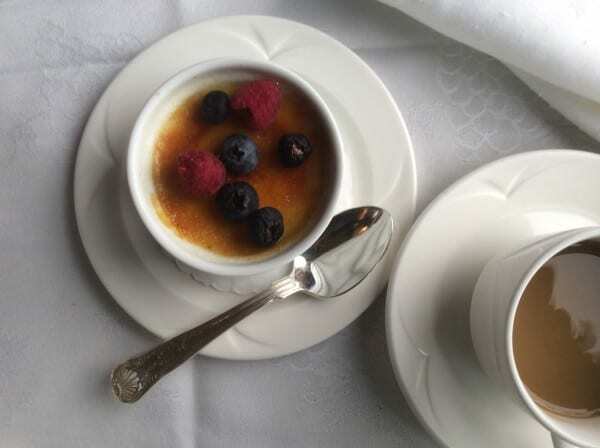 The Creme Brûlée, with its crunchy, sweet, caramelized sugar crust, was topped with fresh raspberries and was perfectly simple, and elegant all at once. Chef Kelly MacDonald has graciously given his recipe for Creme Brûlée, (which I have adapted for the home cook due to the large quantities). 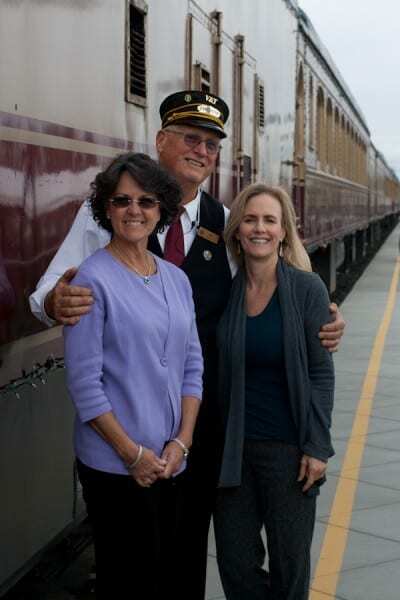 Click on the link if you are interested in booking one of the wonderful excursions on the Napa Valley Wine Train! Creme Brûlée with fresh berries. In a medium bowl, whisk together 1/2 cup sugar and the egg yolks until well blended. Add the warm cream a little at a time, stirring constantly. Pour the mixture into 6 (7 to 8-ounce) ramekins. Place the ramekins into a large cake pan or roasting pan. Pour enough hot water into the pan to come halfway up the sides of the ramekins. Bake just until the creme brulee is set, but creamy and not runny in the center, approximately 45-50 minutes. Remove the ramekins from the roasting pan and refrigerate for at least 2 hours. Remove the ramekins from the refrigerator 30 minutes prior to browning. Divide the remaining 1/2 cup vanilla sugar equally among the 6 dishes and spread evenly on top. Using a small kitchen torch, melt the sugar and form a crispy top. Mimi, there are a variety of trips you can take. There’s one where they let you stop a winery and then pick you up on the way back. 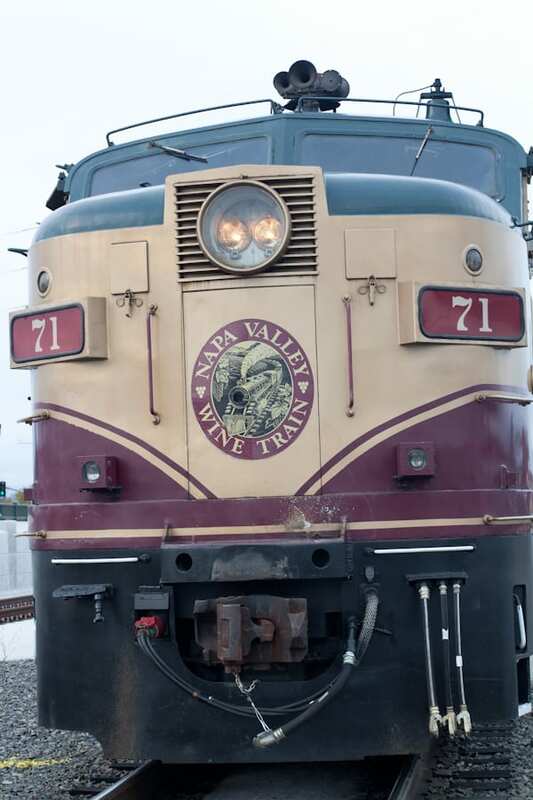 I had no idea there was a Napa Valley wine train! I HAVE to do that next time I’m there — it looks like so much fun. And that chocolate tiramisu truffle looks absolutely incredible. Thanks for sharing! Katie, i’m embarrassed to say that I’ve been going to Napa since i was in cooking school and my sister in law lives there and we had never gone! I can’t wait to go again! I’ve always loved trains, what a wonderful way to spend the afternoon! Sue, it was so much fun! 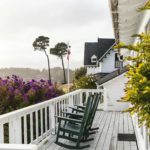 I have been invited to go a couple of times and it has never worked out with my schedule – then see posts like yours and I remind myself that I really need to make time to go since it is right in my own backyard! You should definitely make time to go! Especially since you live so close Andi! The food was top-notch! Definitely a fun way to spend the afternoon! Wonderful description of a trip I hope to take later in the year. @Christina’s Cucina first made me aware and was so glad to hear of your taking the ride. The food looks exquisite and your wonderful blog of the trip makes me anxious for my own. Thank you. 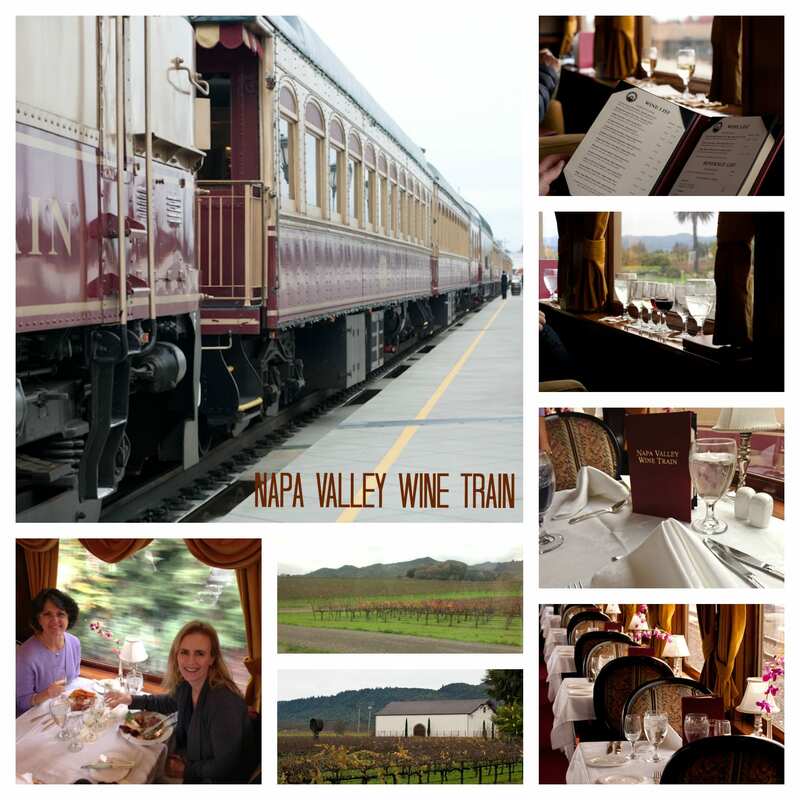 LOVED the Napa Valley Wine Train! 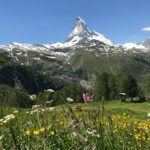 Your post reminds me of our trip and just makes me want to go back again! I love that Chef MacDonald gave you the recipe for his Creme Brûlée; it was absolutely wonderful! Can’t wait to go back! I can’t believe all the years I’d been going to Napa to visit my in-laws, I’d never gone! Thanks for recommending it! what a nice looking meal! light was perfect for shooting as you ate. good memories of the trip I am sure! Paul, it definitely was a memorable trip. I can’t wait to try it again! I’d really like to taste that chocolate tiramisu again…scrumptious!